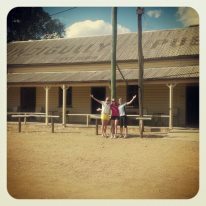 I had lunch today at the Nindigully Pub! 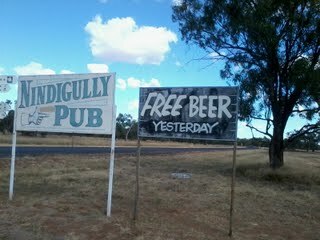 The Nindigully Pub is located in the middle of whoop whoop, somewhere around St. George and Dirranbandi! The pub is a brilliant little pub that is quite the destination for the grey nomads. The Nindigully pub is famous for their exceptionally large burgers, B & S celebrations and the annual New Year’s Eve fireworks display! Check out the photos below! I would definitely recommend spinning over there if you are ever in the region!